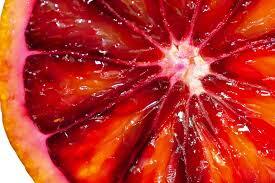 I've got a "sanguino moro" (blood/red) orange, but it appears to be only half-bloody, as in the photo below. However all figures I've found on the internet show oranges that are purely red inside, for instance the ones on Wikipedia. Is this normal? Should I be worried about it? I'm mostly concerned whether it's a sign of the orange being "sick" or health-threatening in any sense. While many pictures show them deep red (perhaps for the dramatic effect? ), even orange flesh wih only some red tinge is normal. 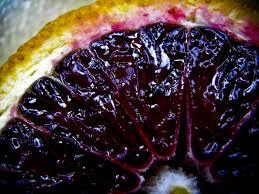 The Moro is a "deep blood orange" meaning that the flesh ranges from orange-veined with ruby coloration, to vermilion, to vivid crimson, to nearly black. 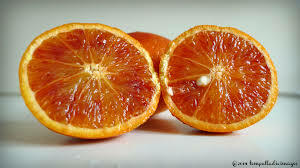 The color of oranges is affected by temperature: Only if there is a certain temperature difference (cool nights vs warm days) the oranges develop the deeper hues. 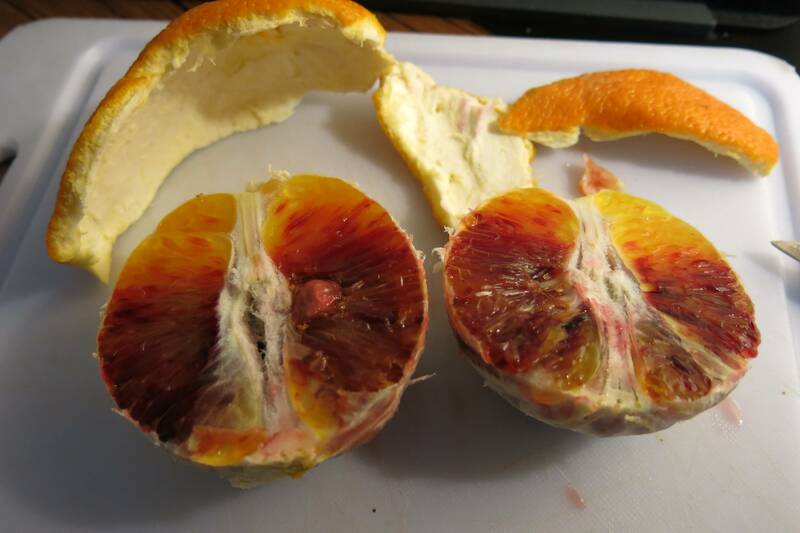 For blood oranges the crimson flesh and reddish tinges in the skin, "normal" oranges get their typical orange skin instead of greenish or yellow. Fun fact: Even greenish oranges may be ripe, but just didn't get the cool nights. For the sake of the consumers who percieve orange = ripe, green = unripe, the skin of oranges and other citrus fruit can be "de-greened" by the "ripening gas" Ethylene (if permitted). 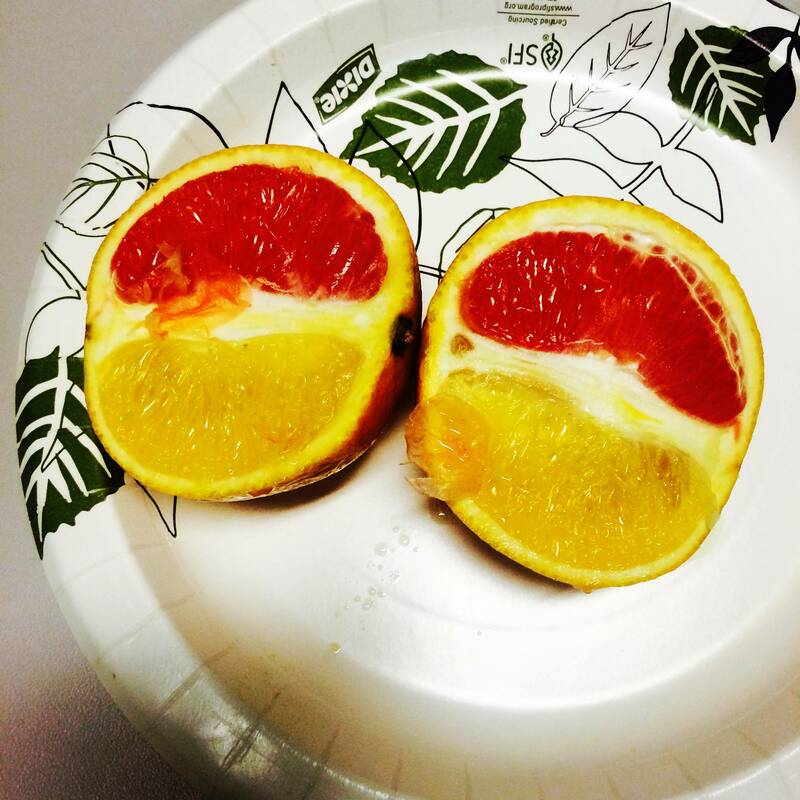 I just happen to cut into this literally Half Bloody Blood orange! Tasted great and so pretty! Not the answer you're looking for? Browse other questions tagged food-safety fruit color oranges or ask your own question.